Macao Post will issue an exquisite “Annual Album 2013” on 27th January 2014, the protective hardcover in blue pearlescent paper is printed with the simple image of snakes coiled, highlighting the beauty of the snake arc, and reveals a gentleness and serenity colour. This album comprises the full collection of 13 sets of stamps and 11 souvenir sheets issued in 2013, on which the colour stamp images and the technical data are printed on the pages. 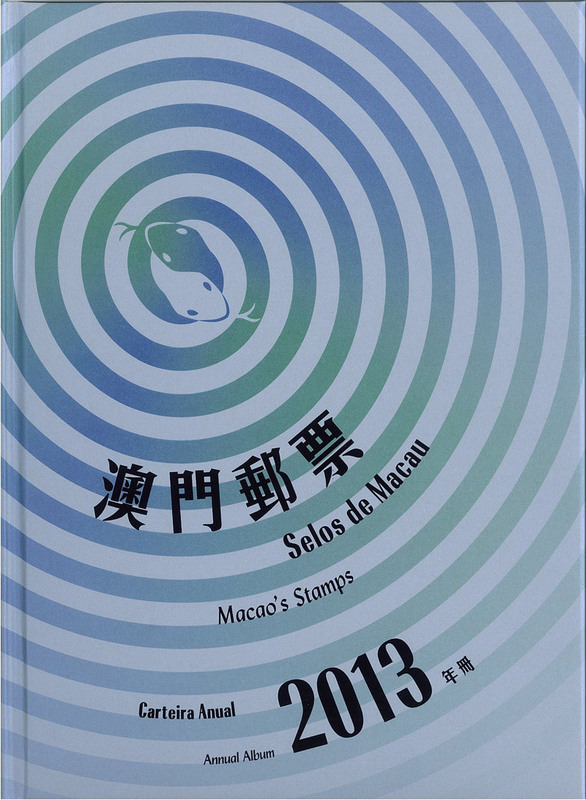 This Annual Album 2013 will be available for sale at the Philatelic Shop of Macao Post Headquarters, “Rua do Campo” Post Office, Maritime Ferry Terminal Post Office, Airport Post Office, and the Communications Museum. The selling price is MOP398.00 each, it is certainly an excellent product, either as a collectable or as an elegant gift. Customers can also purchase the empty Annual Album, by which the purchased 2013 Macao’s stamps and souvenir sheets can be protectively organized. Empty Annual Album is priced at MOP110.00.